This is an excellent salad crop - a substitute for watercress. Seeds are often sold as "American Land Cress" - but there is nothing "American" about it! It is a European plant, probably from around the Mediterranean, but now widely distributed, including the British Isles) because of its use as a salad plant. 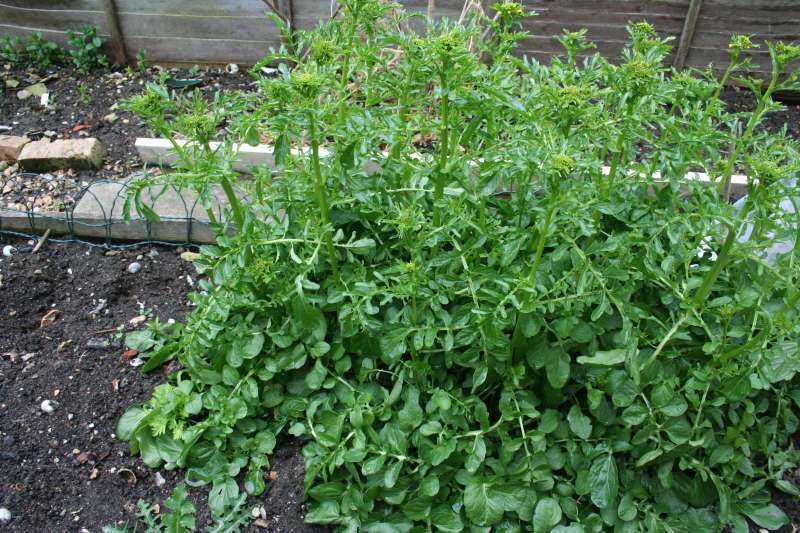 It over-winters well, so can be available when other salad plants are few. The photo was taken 24th April, 2012 of a patch in our garden - to be cropped for seeds. Plants for a Future on Land cress.